Pay – This is the rate for a 60 minute lesson and is used when creating lessons. It will be applied pro rata to any other lesson length. If a teacher receives a different rate for some lessons you can insert that rate when creating the lessons. If the teacher’s basic 60 minute rate changes after a while and you change it here you will change all previous lesson pay rates. In that case you might want to apply the new rate when creating lessons and override the rate here. Bonus Rate – This is an amount added per lesson unit and is not connected to the length. You might want to use it for travel time. 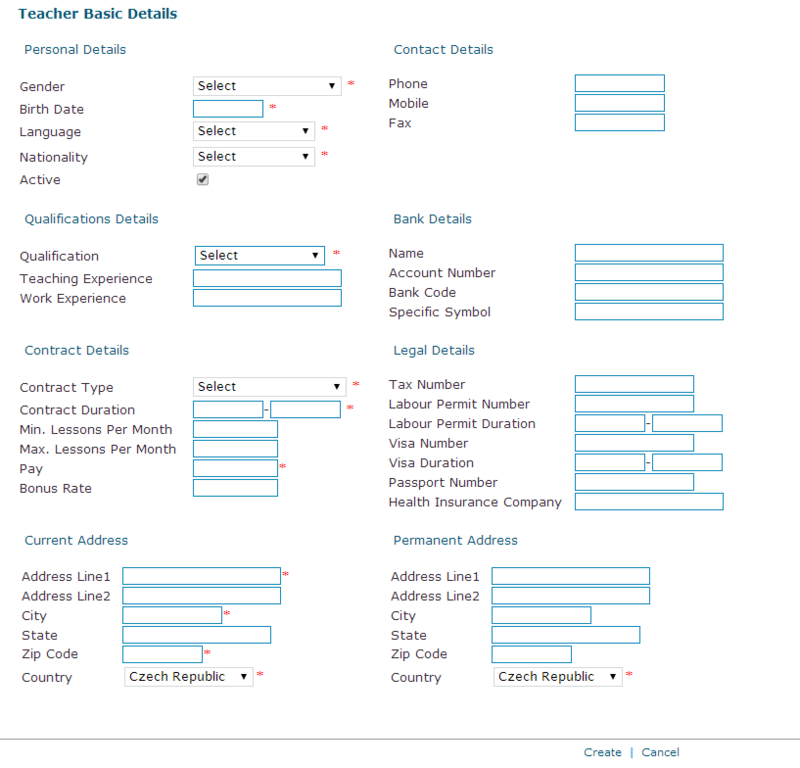 Access Control – When creating a teacher you will need to give them permission to see and do things when they log in. To do this you must click the Access Control tab and select Teacher. The permissions that teachers have are controlled elsewhere in the system but are agreed by you. If you want to change them let ClassMaster support know.